TAPS - The Adventure Palace and Stadium patch - c.1989? Home Fields TAPS - The Adventure Palace and Stadium patch - c.1989? TAPS – The Adventure Palace and Stadium patch – c.1989? The Adventure Palace and Stadium, known by it’s acronym TAPS, was an indoor field in Santa Clara, run in the 1980s. 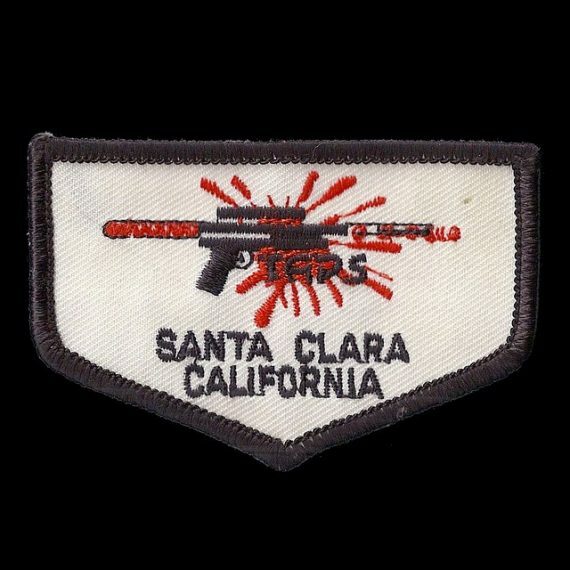 I would guess this patch dates to the late 1980s. The Adventure Palace and Stadium patch. Bill Bowers, creator of the Woodstalk face cover (worn under uvex) and partner in the Woodstalk field in Santa Cruz ran Taps. Bowers later moved to the Pacific Northwest and opened a field there. Woodstalk in Santa Cruz was well known in the mid 1980s after it was featured in the Wall Street Journal.